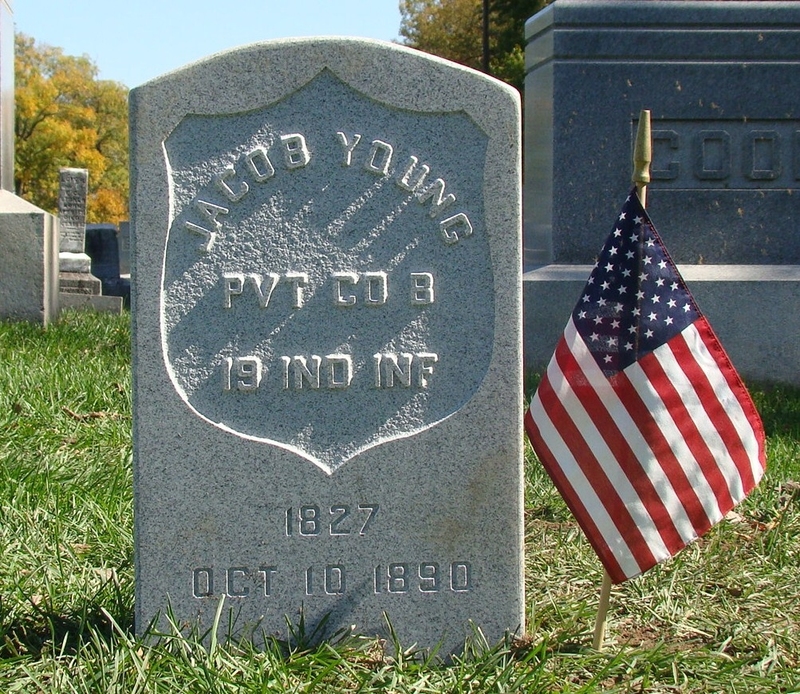 Private Young was hit between the shoulders by a spent cannon ball while building temporary breastworks in the spring of 1864 near the Wilderness. About this time he became sick and was sent to the Satterlee General Hospital located in Philadelphia Pennslvania. He remained there until the early fall of 1864 when he was released and returned to the regiment. In the first week of April 1865 while splitting wood with a hatchet Jacob cut his big toe badly on his left foot. Refusing to stay in the field hospital he returned to his company so he could "see the end of the war". On April 6th while attacking and capturing General Lee's wagon trains Jacob was shot in the left ankle by a rebel cavalryman. He was taken to a field hospital where he had his wound dressed and eventually sent to the Harewood and Lincoln Hospitals located in Washington D.C. 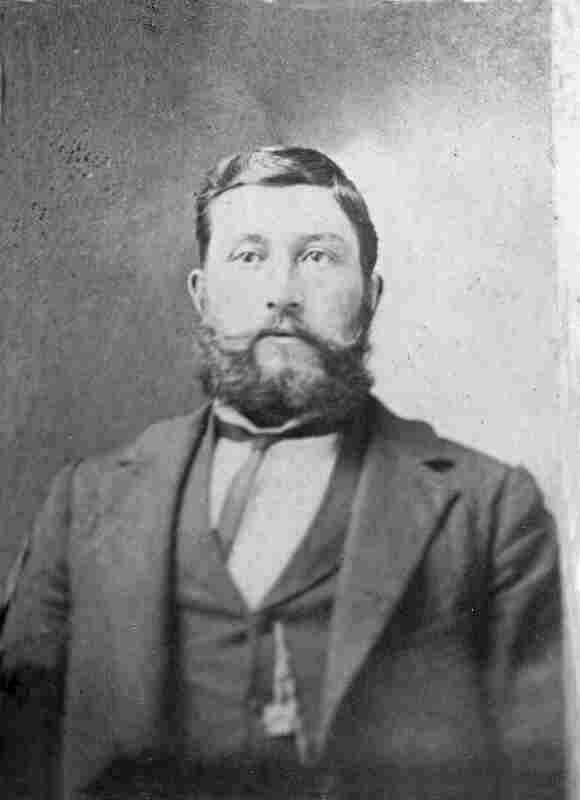 In late July of 1865 Jacob was sent to Indianapolis where he would be mustered out of service on August 2nd. He filed for a pension in August of 1871.